In the new animated film My Little Pony Equestria Girls: Friendship Games, Canterlot High meets its rival school, Crystal Prep Academy, in a competition that’s a long-standing tradition –The Friendship Games: a series of exciting events that includes archery, motocross, and rollerskating! Sunset Shimmer is tasked with keeping magic out of the games to keep things fair while she and her friends compete against Crystal Prep’s top students led by someone with an equal amount of interest in Equestrian magic – this world’s Twilight Sparkle. The third installment of the Equestria Girls series has come out and my daughter was pretty excited to receive a copy to watch. She's been a fan since Equestria Girls first came out. I love that this series still teaches older tweens who watch this the same lessons about friendship where trust, honesty and respect are important just as the My Little Pony Friendship Is Magic series does. My daughter absolutely loved the story line of Friendship Games. She thought it was pretty cool how they had another character called Twilight in the movie and how the girls had to come together in order to try and win the Friendship Games against their rival school. This was a great third installment and she's looking forward to the next one. 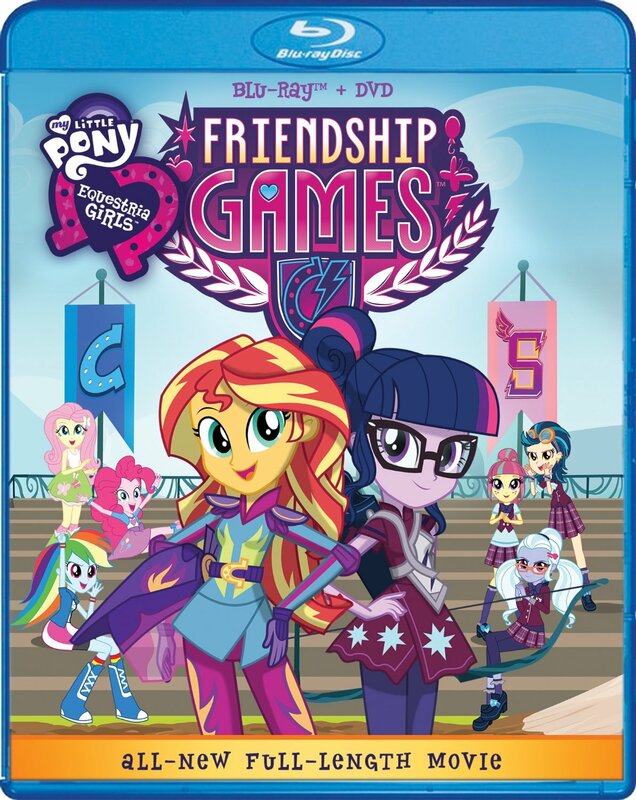 Not only is Friendship Games out now on DVD and blu-ray, but if you have a little girl who is a fan of the Equestria Girls series, be sure to check out their 3 Movie Gift Set that is now available as well. You'll be able to get all three installments of Equestria Girls all in one. Along with the gift set there is also tons of bonus feature that includes lots of sing-alongs, deleted scenes from Friendship Games and audio commentaries about the series. This would make a great gift for the upcoming holidays. In honor of the release of both Friendship Games and the 3-Movie Gift Set, we're giving away a copy of Equestria Girls: Friendship Games on DVD. Be sure to enter below and look in stores for the 3-movie gift set!